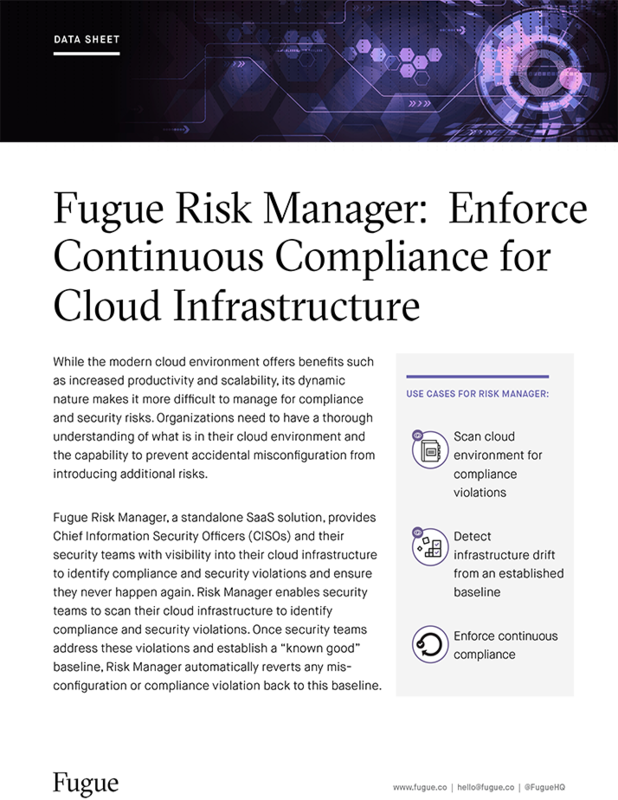 Fugue is a system for programming and automating your cloud infrastructure service stack at scale to unlock the promises of the cloud. At the foundation of your cloud ecosystem, Fugue manages your AWS infrastructure at the API layer across compute, data storage, and network leveraging AWS best practices to migrate and manage workloads with efficiency and speed. 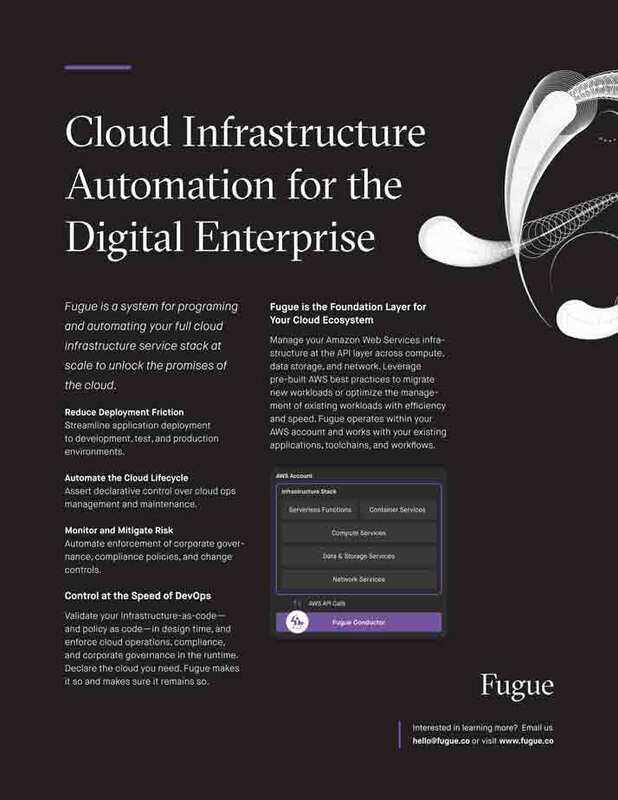 Read this data sheet to learn how Fugue’s infrastructure-level operating system transforms cloud operations to alleviate the pain points of IT operations.